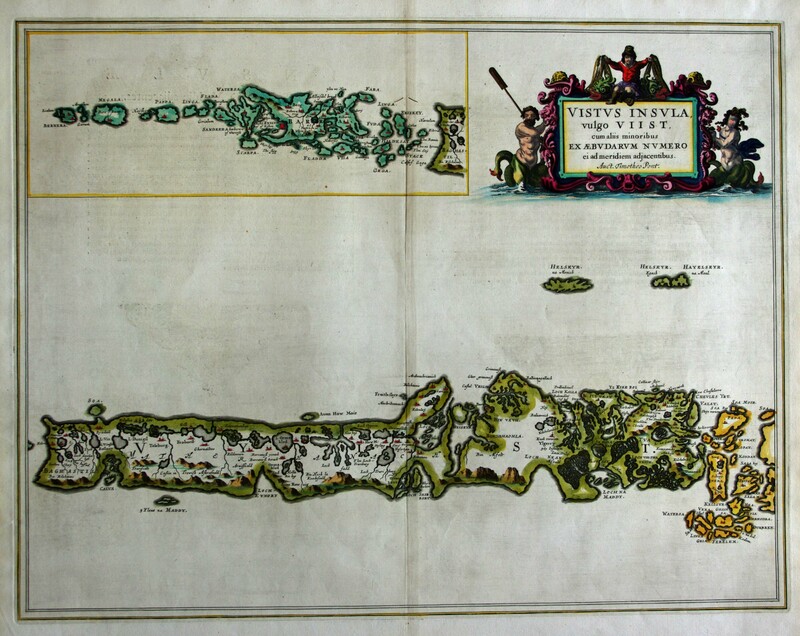 Blaeu's map of Uist, text in Latin. Condition&colon; Excellent condition. 2 small cuts which may be wormholes.